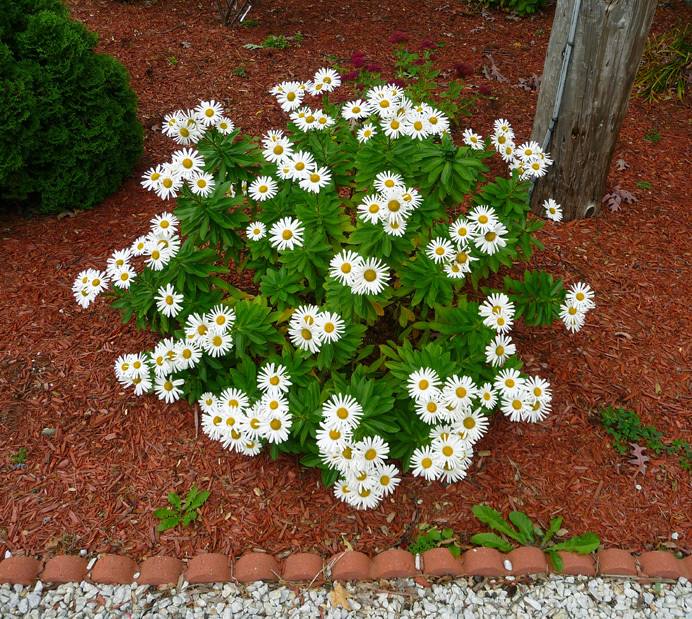 I've been admiring this clump of daisies on Robin Hood Drive. Lovingly tended, they never present a wilted blossom. Even so, their owner has not touched the dandelions that have poked through the mulch underneath. I like that. Every garden is brighter for containing a few weeds. .